Bob Heinmiller Air Conditioning and Electric has gone SOLAR! Isn’t it time you take advantage of the Florida Sun? There’s no mistaking it, Florida is the sunshine state. Are you taking advantage of the natural, abundant source of electricity shining down on us every day? Now you can! Bob Heinmiller has gone solar. As an Authorized SolarWorld Installer, we now offer a variety of solar product options for your home or business with PV (Photovoltaic) Solar panels, solar water heaters, solar attic fans and solar pool heaters. We all want to do our part to promote a cleaner, greener planet, but you would probably love to save money on your electric bills too. Did you know that photovoltaic electricity (PV) production has been the fastest growing energy technology over the last decade? Whether your goal is to lower your electric bills or reduce your dependence on fossil fuel, the reliability and performance of solar power have never been better. Sounds great, right? Read on for more information about how these fantastic solar technologies can lower your electric bills and enjoy solar powered energy to your home. 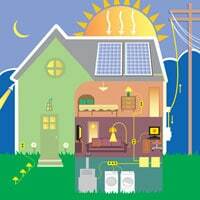 You can supply your Orlando home or business with solar electricity with our photovoltaic solar system. These systems can also be installed on many of the different roof types in the Central Florida Area. By installing a photovoltaic solar system, you will not only get “no-cost” solar electricity from the sun, but you can even sell back the power you don’t use to the power company! More and more frequently, local power companies are encouraging solar system owners to sell their excess electricity back to them. This energy buy-back concept, also called “net-metering”, helps power companies offset peak energy output times, and in turn puts money back into your wallet. Everybody wins, including the environment! Photovoltaic Orlando solar electric panels use sunlight to generate electricity. The potential is huge – with the current photovoltaic technology we could supply all U.S. electrical needs by covering only one-third of one percent of our country’s land area in modules. There are no moving parts, so once installed they deliver Orlando solar energy as long as the sun shines. Never be without hot water again. Solar water heaters heat the water as you need it. No need for unused water sitting there continuously being heated in case you need to use it or to use the energy that is wasted to do it. With a solar water heater, have hot water right when you need it and save money. 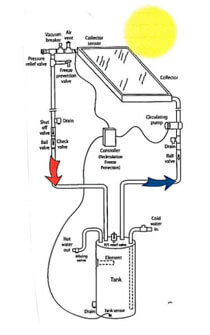 Even better, should you ever experience a loss of power, your solar water heat will continue to work for you. Harness the power of the sun for year round savings on solar pumping for your swimming pool. With our environmentally-friendly solar pool pumps, the system can circulate pool water from the sun up to sun down for FREE – saving money every month and the climate every day. 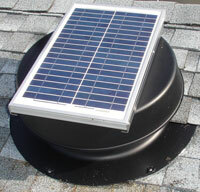 As an authorized SolarWorld Installer, Bob Heinmiller Solar installs a full line of eco-friendly solar attic fans. Adequate venting of your attic can take the load off of your air conditioner and allow fresh air to circulate through your home or business. Since they are powered by the sun, Solar attic fans reduce your electrical costs, too. Put the Florida Sun to work for you by installing a solar heater for your pool. Whether you have an in-ground pool or above-ground pool, our authorized installers are trained and certified to do the job right. With a solar powered heater, you and your family will be able to enjoy your pool earlier in the season without raising your electrical costs a cent. We also provide sales, service, and installation for electric car chargers for both commercial and residential needs.